Recession To Hit Home Prices? The original Homeowner Bill of Rights was scheduled to expire in 2018, undoubtedly because the 2012 legislature figured the foreclosure crisis would be well over by now. They were right — foreclosures reached a healthy level in 2016, and have remained low well into 2018. But the cycle of housing boom and bust continues to roll on, and the next recession is approaching on the horizon. Experts forecast the next economic recession to arrive in 2020. Leading up to that recession, home sales volume will slow (as it is already in the process of doing) and home prices will flatten and drop off, expected to begin in 2019. This is all precipitated by rising interest rates, which have dampened buyer purchasing power and discouraged homebuyers. Slowing sales and falling prices inevitably lead to an uptick in foreclosures as fewer homeowners who need to sell are able to. However, the 2020 recession won’t see the same type of foreclosure activity that reached a crisis level in 2008 and the years following. The laws put in place in the recovery years have stemmed the tide of unqualified homeowners, thus more homeowners will be able to continue to pay their mortgage during the coming recession than in 2008. 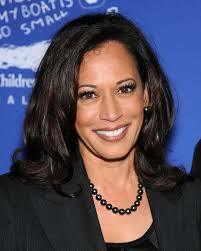 She notes that because home purchasers had to qualify, there will be fewer foreclosures the next time around – good! For home prices to drop, we would need motivated sellers who will agree to sell for whatever the market will bear – like the bank clerks used to do with REOs. But with fewer (if any) foreclosures, who is going to dump on price? Expect that any dip in pricing will be gradual and drawn out. 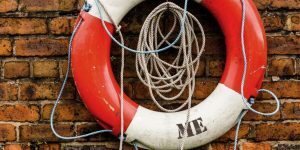 Homeowners aren’t going to give up their equity easily, and would rather spend a few more years in paradise than believe the dreamy value of their home is wrong. Will The Real Estate Bubble Pop Again? Our local home prices have risen so quickly that it feels like we’re in ‘bubble’ conditions again – could the bubble burst this time? The last two times the real estate bubble has popped, it was due to banks having to offload their foreclosed properties for whatever the market will bear. They flooded the market, and buyers – and prices – backed off. 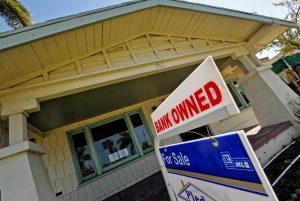 The accounting rules were altered so banks could hold their REO properties longer, and the California Homeowners Bill of Rights has, in effect, stopped foreclosing. Lenders are now required to offer a loan modification to anyone in default, and only if the homeowner can’t or won’t qualify are they at risk of being foreclosed. With today’s higher rents, there isn’t much relief for those in default to give back their house and go lease one nearby. Besides, with our higher home values today, they can always sell before getting foreclosed. Homeowners who need money can get a reverse mortgage too, as long as they haven’t been tapping into their equity already. We end up with virtually no desperate sellers who need to dump on price. Someone who wants to cash out quickly can price their home at last year’s comps and look like a deal! The game is rigged – the Banking Cartel won’t let the bubble pop again! 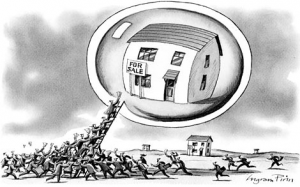 For the bubble to pop, we would need a dramatic shift in the supply and demand – either a flood of homes hit the market, and/or we run out of buyers. I thought we’d be seeing more baby boomers unloading their homes due to downsizing or sickness, and while the market consists mainly of those listings, there aren’t enough of them to call it a flood – at least not yet. Because they are in quality locations, more kids are probably trying to buy out their siblings and take over their parents’ house, rather than sell it. They could be moving in with the folks too, rather than sending them to assisted living. Could we run out of buyers? You would think there would be a price point where buyers can’t or won’t go any higher, but there seems to be a steady flow of people with more horsepower. We saw two weeks ago the prediction that the population of San Diego County is expected to grow by 700,000 people by 2050, which is over 21,000 per year – where are they going to live? Will they be rich? They will need to be! There hasn’t been enough (has there been any?) sellers so desperate that they had to dump on price – instead, they just keep waiting. We would need more than a few price-dumpers to start a panic, which could cause the market to flood with supply and burst the bubble. Some air might escape occasionally, but it is doubtful that a market change could occur without the government finding a way to save the bankers. People like this guy think the conditions are ripe for a downturn. But if prices started falling, sellers are more likely to wait, than dump, which would cause our market to stagnate, rather than crash. 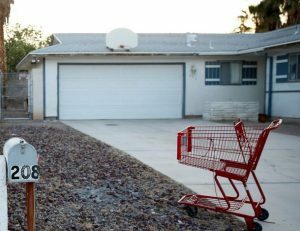 The hedgies got fired up this week over RealtyTrac’s report of California foreclosures rising 57% last month – the post is featured at the top of their front page, and has great comments: www.zerohedge.com. But the CA Homeowners’ Bill of Rights had just been implemented in January, 2013, causing a drop in notices issued while servicers made adjustments. Last month’s number of California foreclosure notices is similar to every month since January 2013. It’s likely that the banks/servicers have thrown every defaulter into some sort of loan modification – or if they didn’t fit, just let them lie. With a casual handling of defaulters, expect that borrowers will drift in and out of the foreclosure process as they enjoy a pay-if-you-feel-like-it policy. The number of properties actually foreclosed has dropped off the table in the last 12 months – in 4Q13 we averaged 150 foreclosed homes per month in a county of 3 million people. We will survive that – heck, in the previous fourth quarter (4Q12) we had triple the number of foreclosed properties, and the market took off in a frenzy! Whether it was actually the CA HBOR that caused the foreclosure process to screach to a halt, or just a handy excuse, we will probably never know. But lenders must be doing everything they can to keep people in their houses – the unemployment rate hasn’t changed much, and incomes aren’t rising. How else can you explain why foreclosures have dropped off the table? The drop in short-sales looks like the smoking gun. The 21% equals 97,422 homeowners in San Diego County who are underwater, and only 892 of them, or 0.1%, completed a short sale in 3Q13 with the end of debt-tax forgiveness barreling down on us?? I’m with avgjoe in thinking that the lenders have conveniently adapted a policy of non-foreclosure, and are hiding behind the CA HBOR. They are putting no pressure on deadbeats to pay, otherwise the short-sale counts would be much higher. Those who are the furthest underwater have the least reason to pay, and banks have the most to lose – no surprise that the banks want to limit their losses. The CA HBOR was announced in summer of 2012, and has been a law for almost a year. The banks have had plenty time to adapt to the new law, and yet the foreclosure notices keep dropping – did most defaulters just go back to making their payments? The banks own this country, and manipulating the system has become acceptable. Isn’t it a possibility that the market rebound has been so good that banks just decided to not adding more distressed inventory, and keep the good times rolling – at least for now? For simply obtaining the HBOR injunction, the homeowner’s attorney is requesting $20,255 in legal fees and costs – a compensation request that is permissible under HBOR since the legislation allots borrowers reasonable attorneys fees and expenses for successfully obtaining an injunction. Attorney Robert Jackson with Jackson and Associates out of California says the injunction alone may cost BofA/Recontrust upwards of $60,000 when calculating in attorneys fees and expenses from both sides. The California Homeowner Bill of Rights is slowing the movement of distressed properties in the West Coast state, Lender Processing Services said in a report. 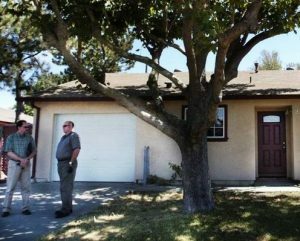 HBOR is one of the more aggressive state-based pieces of legislation drafted in response to the national foreclosure crisis and the dramatic uptick in foreclosures that swept through California after the real estate market bust. For example, foreclosure auction sales slowed dramatically in California even as ‘foreclosure starts’ — the beginning part of the foreclosure process — continued uninterrupted. As to why foreclosure starts continue while sales decline, Blecher says a ‘start’ is only the beginning of the default process. It’s not until the foreclosing party is ready to take the property that regulations trip up servicing firms. JtR: Here are the key provisions – where is the compliance problem when you have already been working on the loan-mod file for months?